Most homebuyers have calculated the cost of the down payment and the monthly mortgage payment, but there are additional fees that should be factored into the equation to avoid an unwelcome surprise when the time comes to close the deal. Citing a TD Bank survey, CNN reports that almost half of homebuyers encountered unexpected costs of more than $2,000, and 10 percent incurred costs of $5,000 or more. For starters, there’s the cost of a home inspection to reveal any potential problems. And while some buyers may be tempted to forgo this step, it’s crucial, both for peace of mind and negotiating power if problems are detected. Next there are mortgage taxes, which some lenders require buyers to pay a full year in advance at closing. And unless you’re up for transporting your belongings yourself, plan to pay a professional moving service, which typically charge a few thousand dollars. Finally, there are the often-overlooked immediate costs that come with owning a home, such as hiring a locksmith to change all the locks and fees for setting up utilities and telecom services. Reports of astronomical home prices in Silicon Valley have become standard in the Bay Area, but one home seller has upped the game on how far — or not far — money goes in the region. Priced at $5.5 million is a one-bedroom, 624 square-foot home built in 1953 on Cupertino’s Regnart Road, the city’s most expensive listing. According to a report from Curbed SF, that eye-popping price tag isn’t really for the house, it’s for the land it sits on, a 13.7-acre parcel. The home last changed hands in 1998, when it fetched $1.15 million. Another factor that boosts the property’s value is its location just seven miles away from Apple’s new 2.8-million-square-foot campus, which opened earlier this spring. Apple Park can accommodate up to 12,000 workers, all of whom will need places to live in a region that is facing critical housing inventory shortages. Speaking of Silicon Valley’s plentiful jobs and serious lack of housing, Facebook has unveiled plans for its new campus, which includes offices, stores, parks, and housing, creating an urban village in Menlo Park. The Mercury News reports that the social-networking titan submitted its campus plans to Menlo Park officials last week. The proposed campus would feature 1.75 million square feet of office space, 125,000 square feet of retail space, and 1,500 housing units, 225 of which would be below market rate. Facebook is rapidly expanding its workforce, which grew by 38 percent from March 2016 to march 2017. The proposed campus could house up to 8,700 employees, so one prominent local economist sees the extra housing as an encouraging development. Buyers of new homes spend nearly three times on appliances and household goods and services as other homeowners, which in turn boosts the overall economy. 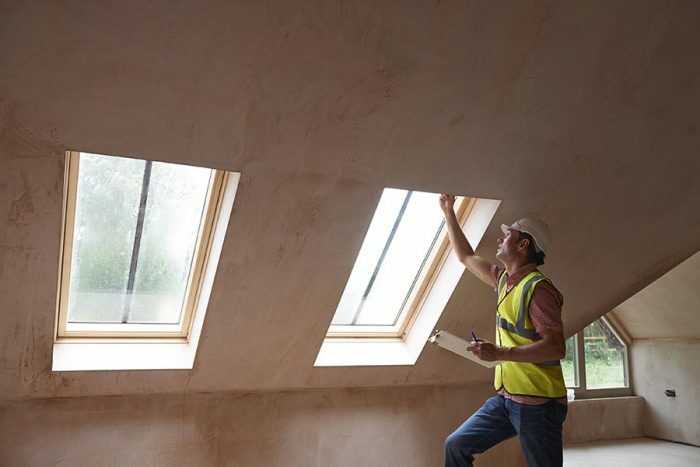 A report from the National Association of Home Builders says that buyers of new homes spend an average of $10,601 on appliances, home furnishings, and improvement projects in their first year of ownership. During the first two years of ownership, those who buy new homes tend to spend an average of $4,500 more than other homeowners, which benefits local housing professionals and merchants.